Technically speaking, distortion (aka non-linear distortion) occurs when a waveform's shape is altered between the input and the output of a piece of gear or digital audio plugin or application. This can have both desirable and undesirable effects, depending on how the distortion is created. On a digital recorder, if you crank the input up all the way and record any source, you'll see the waveforms that are produced are flat on top because they're pushing up against the amplitude limit of the recorder. They can't go any higher, so they flatten out. That is what's called "hard clipping." The result can be nasty-sounding digital distortion. It's not an effect you probably want to go for, no matter what kind of music you're producing. The left side shows a guitar part recorded into a DAW at a reasonable level. On the right is a guitar that overloaded the input. 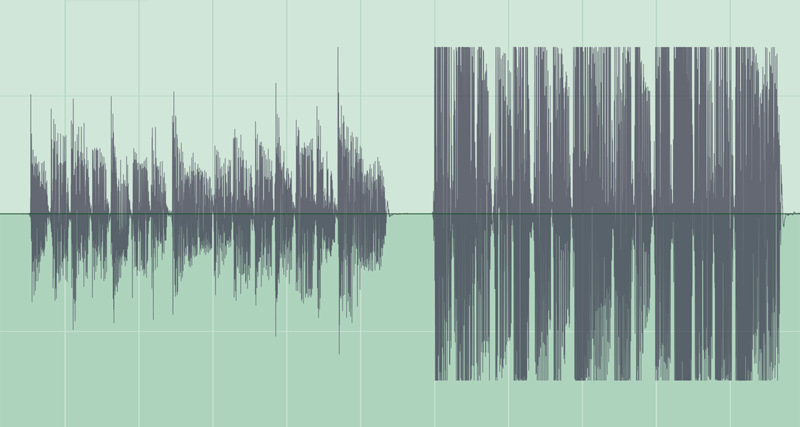 Notice how the clipped waveforms are flat at the top. Pushing the amplitude limits on analog gear creates very different results than with digital. Because you're not dealing with as finite a ceiling as there is in digital audio, you end up with a less extreme type of clipping, sometimes referred to as "soft clipping." Engineers long ago discovered that they could overload a tape machine or tube amp or transistor-based console preamp and make the audio sound more pleasing or "warmer," as it's often described. That effect is what we now refer to as "saturation." These days, most people apply saturation to their DAW tracks by way of digital plugin or processors that emulate the sound of tubes, tape, or transistors being overloaded. 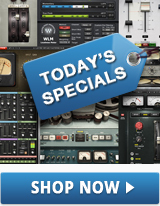 Some examples are the J37 Tape plugin, Kramer Master Tape, the PuigChild Compressor (tubes), H-Comp (tubes, transistors, transformers) and the Scheps 73 (transformer). Kramer Master Tape models the sound and behavior of a vintage ¼” tape machine. It not only provides saturation but gives you adjustable tape-machine parameters such as bias, flux, wow and flutter. Note that any compressor can cause a rather unpleasant form of distortion if you set the attack and release times too fast and compress heavily. That should not be confused with saturation you get from the modeled non-linear characteristics in analog-modeled processors. Distortion describes a more extreme effect than saturation. While saturation adds a warm characteristic to a sound without markedly changing its character, distortion breaks it up more radically. It can vary a lot in nature, from a smooth fuzz to harder-edged sound with a lot of high-end bite and a sort of buzzy sound. Falling somewhere between saturation and distortion is described as “overdrive.” As its name implies, it's origin, like that of saturation, is from the overdriving of analog circuitry. It features the warm harmonics of saturation but with more breakup. Guitarists and bassists often use their amplifiers—particularly tube amps— to create overdrive, but there is all manner of hardware overdrive pedals available, as well. Plugin amp-modelers such as the PRS SuperModels plugin offer authentic tube distortion for your DAW, and Waves GTR includes guitar pedal emulations. At the top is PRS SuperModels Dallas, an amp modeling plugin that’s capable of creating distortion and overdrive, and the bottom is GTR Stomps, which lets you open up various stompbox models, including a number of the distortion and overdrive options. Another type of distortion that’s completely different is called bit-crushing. It’s not derived from analog circuitry or emulations. It creates a harsh variety of distortion by down-sampling audio to a lower bit rate, which degrades the audio quality. It's used more often in electronic music styles, and generally wouldn't be suitable for, say, applying to a rhythm guitar to add crunch. There are no rules that govern how to apply saturation, overdrive or distortion effects; how you use them is strictly a matter of taste. That said, there are norms for how these effects are applied, which you can choose to abide by or not. Let's start by looking at applications for saturation. Warm up your digital tracks. Make them sound less harsh and sterile and give them more character. A little bit of subtle tube harmonics or tape saturation, whether on an instrument or voice, can make it sound more pleasing to the ear. On many saturation plugins, you can crank the input up higher to add audible crunch. Add tape saturation on individual tracks to emulate a multitrack tape recording. 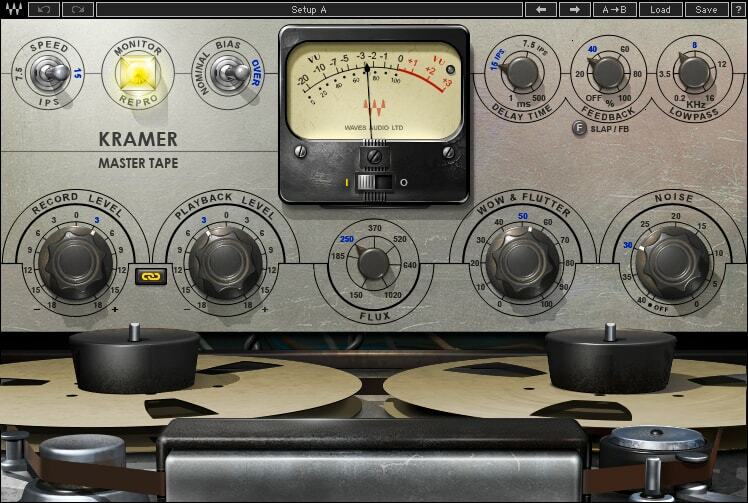 You can make your digital recording sound more like it was tracked on a tape machine rather than a DAW by applying a tape saturation tape plugin, such as Kramer Master Tape plugin or J37 Tape on some or all of the individual tracks. This also gives you control to dial in individual saturation amounts on each channel. 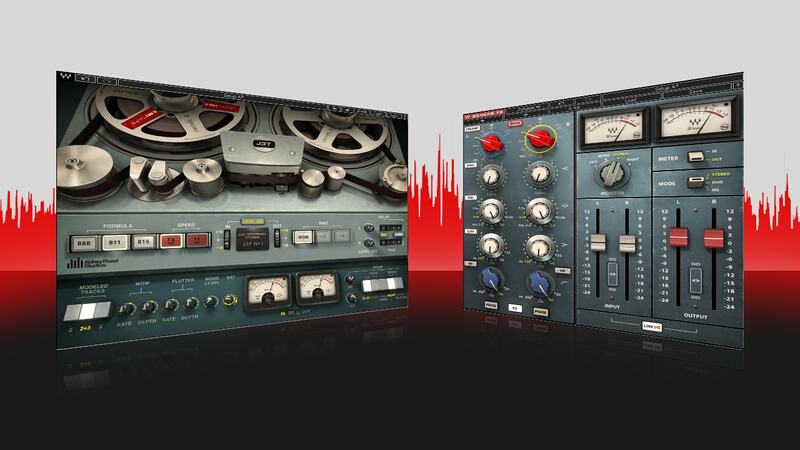 Both of these two plugins provide authentic tape saturation with detailed control, but each has its own unique modeled flavor and versatility. 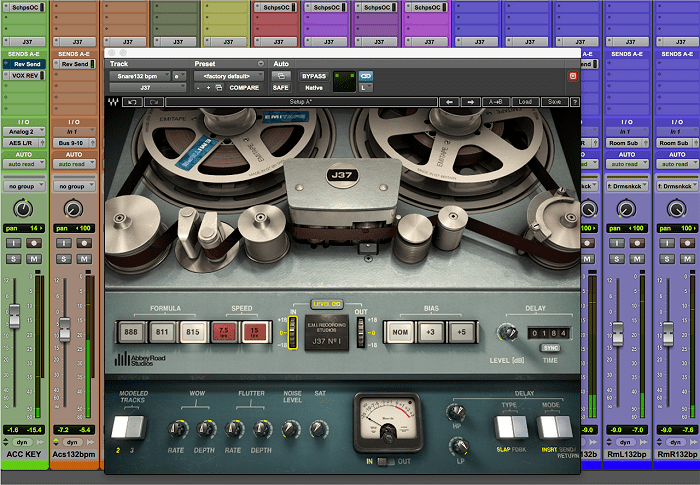 Inserting a tape plugin on each track (J37 Tape shown here) not only allows you to add saturation individually but also provides an overall emulation of a multitrack tape recording. Saturate the master buss. Another option is to use a stereo instance of your tape on the master buss. You wouldn’t be able to control the settings for each track individually, but it would be a lot less CPU intensive. You can think of the individual track approach as roughly equivalent to what you'd get if tracking on an analog multitrack, whereas the master buss approach is more like mixing down to a stereo tape machine. Try the same thing with a tube emulation. Don’t over-saturate. Especially when you’re adding it to multiple tracks, it’s easy to overdo saturation. Adding too much can soften the transients on your tracks and make your mix sound mushy and less impactful. After adding saturation to a track, always check it in the context of the entire mix. A little bit can go a long way. Many classic studio preamps, both console based and outboard, tube and solid state, add pleasant saturation when you overload their inputs. You can find emulations of such preamps in channel strip plugins like Kramer HLS, Scheps Omni Channel, and the EMI TG12345 Channel Strip. Add vintage preamp sound to your tracks, after recording. The architecture of DAWs and the issue of latency make it problematic to record directly through preamp (or any) plugins—unless you're working on a SoundGrid network—but you can otherwise add the preamp tonal qualities after the fact by inserting them on individual tracks. Add a unified console sound. Just like tape plugins, channel strip or preamp plugins allow you to add a cohesive sound across your entire mix by inserting them individually on each track. Give yourself the flexibility to dial in any saturation that’s available from channel strip components. The NLS Non-Linear Summer plugin features emulations of 3 distinct console types and includes a saturation control that you can dial in per channel or on a mix buss. Scheps Omni Channel offers a dedicated Saturation circuit in its preamp section, allowing for several different varieties of saturation. Add preamp or console emulation on the master buss. In addition to, or instead of inserting on individual channels, you can add saturation on the master buss. Use a preamp or channel strip plugin or go with a dedicated master buss plugin like Waves NLS (Non-Linear Summer), which offers three different classic console emulations. While saturation is generally used for subtle warming, distortion significantly changes the character of a sound. For example, on a guitar part, especially a lead part, the difference between a clean and distorted sound is significant enough to impact the way the part is played. Distortion adds more sustain and overtones and reduces the attack, and really changes the feel for the player. Record DI guitar, monitored through distortion. Record a guitar track DI, but have the player monitor through a distortion or amp-modeling plugin such as PRS SuperModels (you'll have to keep the buffer size low to minimize latency). The guitarist will get to play with a realistic amp feel, but you’ll be free to try different amounts of overdrive or distortion and different amp and cabinet sounds in the mix. Break up your bass sound. Add a subtle amount of distortion to liven up a dull electric bass sound. For a full-fledged distorted rock bass, try cranking up the effect to higher settings. The detailed control of Manny Marroquin Distortion is perfect for this application. Distort your keyboards. Many synths have distortion effects built in, but there's also no reason you can't insert a plugin on a synth track. You can radically change the character of a synth patch with a jolt of distortion. Electric piano simulations sound great with a moderate amount of distortion or overdrive added. Simulate the distortion that players of the real instruments get when playing through built-in amps. You can also use distortion or saturation on organ sounds to simulate a Leslie-speaker breaking up. Perk up drum sounds. If your drums aren't sounding powerful enough for you, try adding a little distortion to the whole kit. Alternatively, try it just on the room mics, or only on the snare. Experiment; here too, a little distortion can go a long way. Create crunchy rock vocals. Distortion or saturation on certain types of rock vocals can create a powerful effect. The settings are typically subtler than on guitar or other instruments but give the vocals additional grit and energy. The Butch Vig Vocals plugin allows you to emulate Butch Vig's signature distorted vocal sounds easily (as heard on records by the Foo Fighters, Nirvana, Garbage and others). It provides a choice of modeled solid state or tube saturation as well as compression and EQ. Use distortion to modify an aux effect. Try inserting a distortion plugin to modify an aux effect. For example, insert it after a delay to create distorted echoes, or after a reverb to add subtle fatness to the vocals. Manny Marroquin Distortion is again perfect for such applications, offering a flexible control set that lets you put just the right amount of distortion or overdrive on the signal. 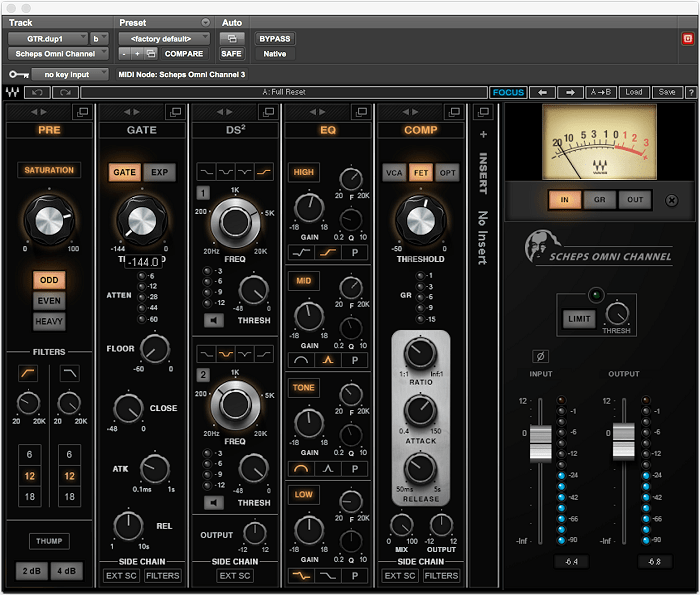 Want more on mixing with analog modeled plugins? Get more tips, tricks and ideas here..